1 set nail art sticker, 14pcs different size nail tip stickers in one set. Good choice to beauty your nails, great for professional or DIY nail art salon. Good gift to your loved ones and friends, with this nail art stickers you can design a unique and fashionable nail style for yourself. Adhesive 7 sizes nail art stickers to fit all fingernails, toenails and nail tips. Even if you are a beginner of nail art you can apply the sticker easily. Stick well with good material, make it easier and faster to create a new design. Convenient nail stickers, no more complex painting to vary designs from time to time. 1. Trim and clean your finger nails. 2. 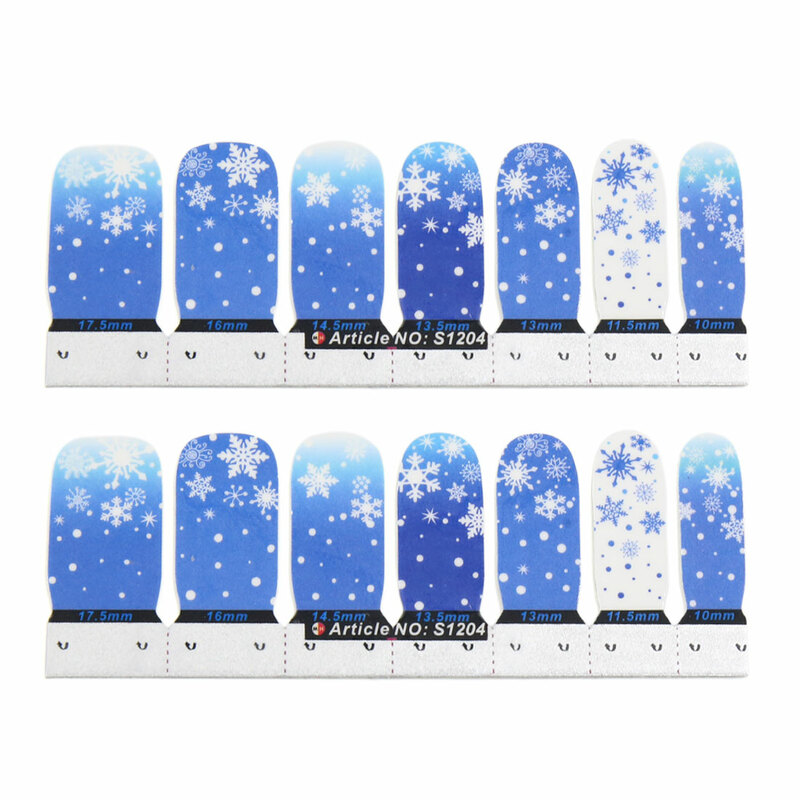 Compare the size of the decals with your nails, choose the right size for your nail, if there has no suitable size, use a scissor to cut a better size, then use tweezers to pick up the detal you want to stick from the product. 3. Stick the decal in position, remove the extra with a nail file. 4. Carry out the UV seal against the nail sticker according to personal requirements and blow dry.